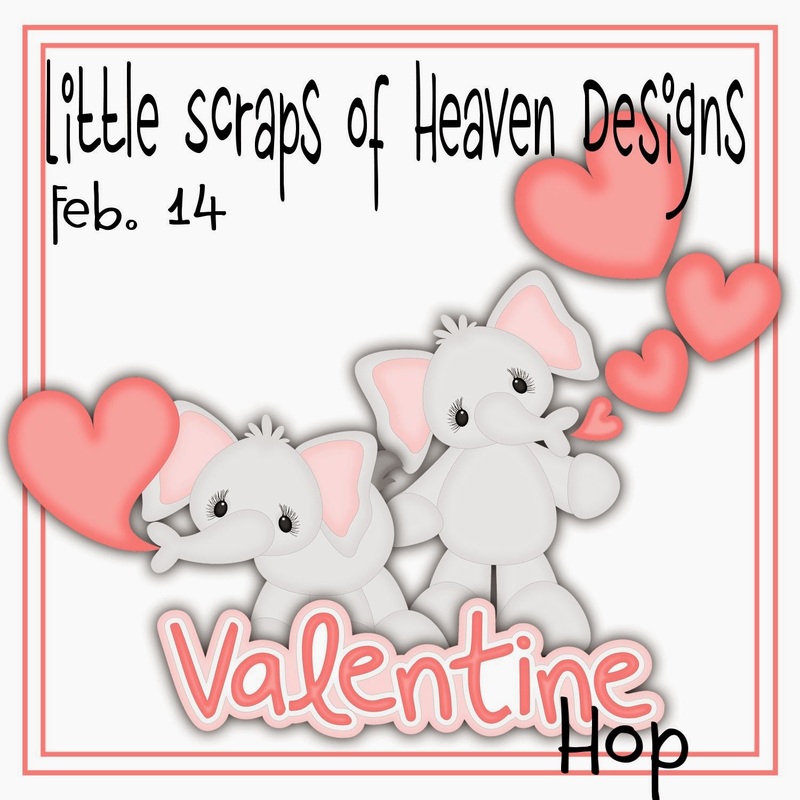 This year for Valentine's we, the Little Scraps of Heaven Designs Design Team, decided to get together and have a Valentine Blog Hop. If you have been following the hop and have come from Celeste Blog then you are in the right place. If you have just happened upon my blog please join us and head to Tricia to start hopping with us. You don't want to miss out on the GRAND PRIZE!!! $100.00 Gift Voucher for Little Scraps of Heaven Designs!!! Become a follower of Little Scraps of Heaven Designs Fan page and leave a comment. Your next stop will be LSHD DT. Here is this weeks Little Scraps of Heaven Designs is doing a blog hop as described above. I used the L Bear, O Bear, V Bear and E Bear cut files from LSHD. Featured Product All the cut files referenced in this post are from Little Scraps of Heaven Designs. For for my prize I am giving away this Cute Bear. I have two bears. One for my blog hop and another one for my Facebook hop.